MEDIA RELEASE: Check canola pods on the branches, not just the stem - Australian Oilseeds Federation Inc.
South Australian consultant Trent Potter, Yeruga Crop Research, said that growers must stay in control of the timing for windrowing and desiccation, and need to know how to assess the maturity of the seed themselves. Mr Potter said it is imperative that growers open the pods and check the seed colour themselves. “A visual estimation based on pod colour is not sufficient and will result in lost profits if not quality downgrades,” he said. 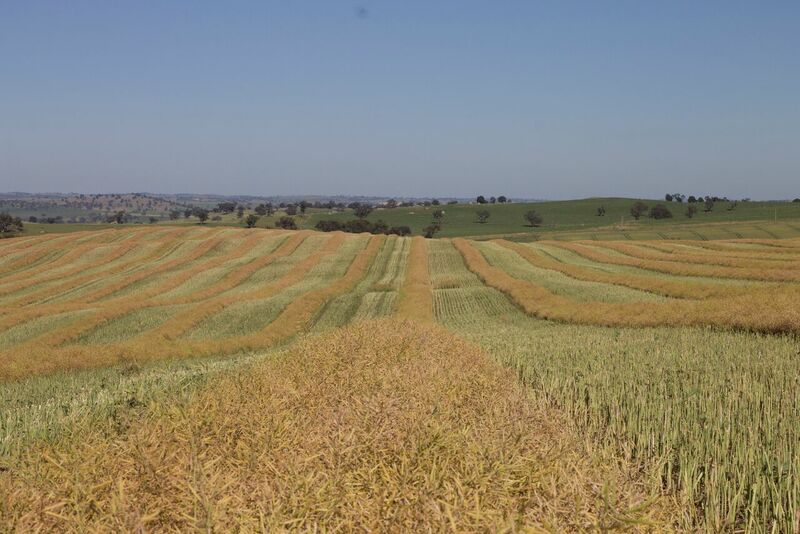 The timing of windrowing has been the subject of significant research effort co-funded by the GRDC, NSW Department of Primary Industries, CSIRO and partner organisations under the Optimised Canola Profitability project (CSP00187). Researchers have re-confirmed studies from the 1970s and 80s that showed physiological maturity in canola is reached when 40–60% of seeds on the main (primary) stem change colour from green to red, brown or black. However, their research has also shown the importance of assessing seed colour change on the canola plant branches as around 70 per cent of the crop yield is held on the plant branches rather than the main stem. Rick Graham, NSW DPI, Tamworth said windrow timing studies in 2015 and 2016 at Tamworth and Trangie, and Edgerio in 2016, clearly demonstrated the importance of correct timing. There is a significant delay in physiological maturity between seed in pods on the stem and pods on the branches, and this needs to be included in the grower’s assessment. Nick Goddard, Australian Oilseeds Federation CEO said that an incorrect visual image of ‘Green Seed’ in the GTA Visual Reference Standard Guide (VRSG) for last season saw consignments of canola accepted on delivery with too much green seed present. Mr Goddard said the Visual Reference Standard Guide is available on the Grain Trade Australia (GTA) website. Click here to access files in Dropbox. Photo caption: With around 70 per cent of canola yield coming from pods on the side branches, growers are encouraged to assess seed colour change in all pods before windrowing to maximise yield and oil content while minimising the amount of green seed at harvest.